Just like humans, fish can feel fear, pain, and stress. For many years goldfish have been given out as prizes for winning games at fairs and carnivals. Most people wouldn’t think about what happens to them after they are given away as a prize. Unfortunately most of them do not live for too much longer. Thousands of goldfish are given as prizes every year, and so many of them are mistreated. In effort to protect our world’s animals giving goldfish as prizes at carnivals and fairs should be made illegal. This will save many goldfish from living a much shorter life than they should. 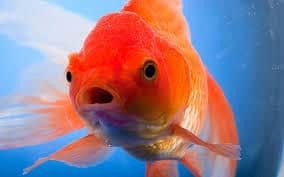 As of October 23rd, 2017 the city council in Berkeley California passed legislation that goldfish and betta fish are no longer allowed to be given as prizes at fairs and/ or carnivals. Fox News reports that City Councilmember Kriss Worthington sponsored the bill and said if other city governments adopted similar language, the issue could be elevated to the state level in California. If this gets pushed to the state level that could motivate other states to take a stand on the issue (Fox News). As of now there are four states that have laws against the sale of fish at carnivals. Just recently fair goers have been reporting stories of abuse to the goldfish, finding them dead on the fairgrounds, and thrown in dumpsters because people don’t want to take them home (Delaney). Goldfish can live anywhere between 2-43 years of age, the oldest one as of 2017 lived to be 43 years old (BBC News). Now that is it they are cared for properly. Sadly with the conditions the fair fish endure they usually don’t live much more than a few months or up to a year. Fair fish are simply used for entertainment and monetary gain quoted from Ryan Delany to the NPR News. Sadly in this case the fish pay the biggest price. Their lives.When at the fair they do not get the nutrition they need from fish food, instead to make it cheaper they are fed bits of dog food or hard pieces of bread. When a carnival comes to town they have anywhere from 500- 1000 goldfish along with them to give away as prizes (Peta2). The fish have had a pretty rough run already, and in most cases it is not getting any better. Unless you look at this miracle case in 2013, a large rescue mission was carried out after the lights at the fair in Midway went dark. A woman named Janice Wilson along with others ready to save went into the fairground in the middle of the night to rescue hundreds of goldfish stranded in small bowls and bags. Wilson, an animals rights advocate learned before transporting the fish safely to her home that night that many of the fish not won as prizes were simply thrown away as the fair vendors packed up and got ready to move to the next city. After saving all the fish she could, they temporarily stayed in her living room in tanks until she found loving homes for them. The morning after Wilson found out during the fair, maintenance people still found some of the bagged ones in the trash cans (WRVO Public News). In conclusion goldfish should not be given away as prizes. Even though people claim that this will change the “feel” of fairs and carnivals in the future, something needs to happen. The lives of goldfish cannot keep being wasted for money and people’s entertainment. The way they are dealt with if they are not given away as prizes is completely unfair. Thousands of goldfish at a time are having their lives thrown away for absolutely no reason. These actions need to stop, and their needs to be a law put in place to ban these actions. Too many terrible things have happened to goldfish and other animals already, they have such long lives ahead of them. Their lives are not only shortened because of being mistreated but taken away from them. Delaney, Ryan. “Fate of Leftover State Fair Goldfish: the Dumpster.” WRVO Public Media, wrvo.org/post/fate-leftover-state-fair-goldfish-dumpster. Dobson, Roger. “Goldfish Can Feel Pain, Say Scientists.” The Telegraph, Telegraph Media Group, 25 Apr. 2009, www.telegraph.co.uk/news/science/science-news/5219686/Goldfish-can-feel-pain-say-scientists.html. Gulliver, Katrina. “The Great Goldfish Invasion: How an Exotic Carp Took Over America.” The Atlantic, Atlantic Media Company, 1 Nov. 2012, www.theatlantic.com/national/archive/2012/11/the-great-goldfish-invasion-how-an-exotic-carp-took-over-america/264420/. “How Can We Stop Goldfish Being given Away as Prizes?” Practical Fishkeeping Magazine, 13 June 2016, www.practicalfishkeeping.co.uk/blog/articles/how-can-we-stop-goldfish-being-given-away-as-prizes. “UK | Oldest Goldfish Has His Chips.” BBC News, BBC, 7 Aug. 1999, news.bbc.co.uk/2/hi/uk/414114.stm. Goldfish are more than just a prize by McKenna is licensed under a Creative Commons Attribution-ShareAlike 4.0 International License.